Black Friday 2019 will arrive on 29th November. As usual, we'll be bringing you unbeliavable mobile phone deals for the whole of Black Friday week, starting on Black Friday itself and taking you all the way to Cyber Monday. With our amazing online offers, you can still grab a bargain from the comfort of your living room, and avoid all those angry crowds. You have just missed our Black Friday deals for this year but don't despair if you're looking for a bargain right now, we offer unbeatable deals all year round. Just take a look below if you don't believe us. Here at Mobiles.co.uk we pride ourselves on offering the latest tech with amazing tariffs. In fact, our prices are so good, they are likely to make you say 'Oh My Deal'. Why should I shop online during Black Friday? We take a look at the history of Black Friday, alongside how to bag the Best Black Friday UK deals in 2019. Black Friday originated in America in 1952, and traditionally marks the beginning of the Christmas shopping season. To observe this date, retailers offer promotional sales and epic discounts, making it one of the busiest shopping days of the year. This means that if you try to hit the high street, things can sometimes get a bit mad. Black Friday 2016 saw record sales in the UK, with a massive increase in customers buying from home. With prices so low, it's the perfect time to treat yourself to one of our Black Friday mobile phone deals, or Black Friday iPhone deals, without even having to leave the house. The discounts are also a great opportunity to get started on your Christmas shopping, and spoil a loved one with a cutting-edge smartphone. Traditionally celebrated in the USA on the day after Thanksgiving, Black Friday falls on a different date each year. 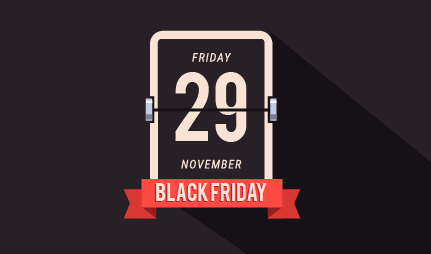 Black Friday 2019 will be 29th of November, so be sure to note this in your diary and check back for some scorching deals. Although Black Friday only comes around once a year, we celebrate with an entire week jam-packed full of Black Friday mobile phone deals. If you&apos;re tempted by such handsets as the high-tech Samsung Galaxy S9, Google Pixel 3, or iPhone XR, there&apos;s never going to be a better time to buy. For all the great benefits of Black Friday, it also has its downfalls. These mainly come in the form of queues, crowds, and jostling in stores. 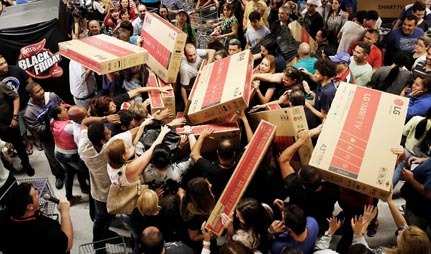 You&apos;ve probably noticed the news coverage of previous Black Fridays, which show scrums forming as people fight for bargains. The smart way to tackle Black Friday is from the comfort of your armchair. Leave the struggles for those who don&apos;t know any better, and get your deals online. 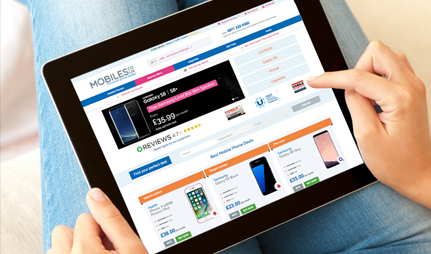 When you shop at Mobiles.co.uk on Black Friday, there&apos;ll be no queues and no fights, just great deals made simple.